A guy. A girl. Surf pop. Sound familiar? Well certainly there’s room for more than one at this table. 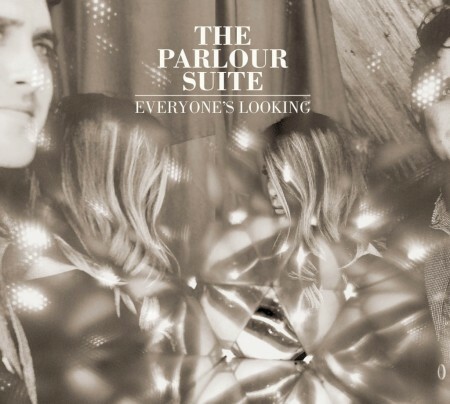 The Parlour Suite is a husband and wife duo out of Minneapolis who certainly sound out of place for where they hail from. Combining simple, elegant pop music with pristine, gorgeous vocals, their music is a soundtrack of sensuality and soul. They dropped their latest album Everybody’s Looking in early April. And lucky for us, they were kind enough to throw it on the Internet. With 7 songs checking in at 20 minutes, what it lacks in length it certainly makes up for in quality. Don’t miss personal favorite “Window Shoppers”, featuring catchy hooks and Inga Roberts’ vocals at their best. Those of us in the Midwest can catch the duo on 6-22-12 in Indianapolis (Monkey’s Tale) and 6-23-12 in Cincinnati (The Mainstay). So if you didn’t have weekend plans a month in advance, now you do. Take a listen to the new album below, and hopefully, I’ll see you there Cincinnati.